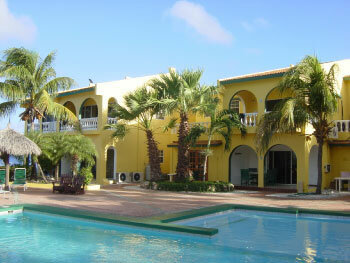 air-conditioned bedrooms with twin, queen or king beds, safe deposit boxes, and large private balconies or patios. 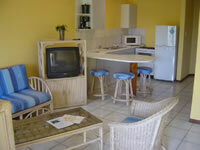 Air conditioned hotel rooms are also available and equipped with a TV, telephone, small refrigerator and coffee maker. Also including is daily housekeeping service and free use of beach towels. With as many as 60 officially listed dive sites on Bonaire and another 20 dive sites on Klein Bonaire, the dive operation at Buddy Dive Resort is geared up for you to make the most out of your dive vacation. With a fleet of custom dive boats and a well stocked ‘Drive Thru’ offering air and nitrox tanks, every diver’s needs can be satisfied. Novice divers will appreciate the calm waters, reefs that run parallel to shore, and minimal currents, and the abundance of marine life living along the shallow drop-off area of the reef slope allows for maximum bottom time, while giving new divers an opportunity to develop a level of comfort and confidence in their newly learned skills. All levels of divers can enjoy the freedom of Buddy Dive Resort’s unlimited shore diving package, making as many dives as you want each day, according to you own safe profile. There are plenty of 80 and 63 cubic foot air and Nitrox tanks available at either the Drive Thru or on the dock where there are convenient benches for gear set-up and two sturdy ladders that provide easy access to the water. Rinse tanks are located at the Drive Thru as well as on the docks where there is an extensive gear storage room. 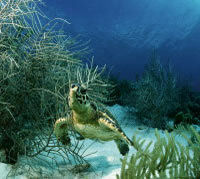 Diving at Buddy Dive Resort is easy and enjoyable. 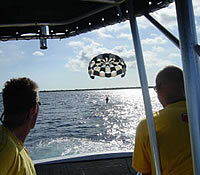 Or you can join the experienced, friendly dive staff on their morning and afternoon boat dives. Every day of the year their custom dive boats go out to explore the many dive sites on the nearby island of Klein Bonaire, a short 10 minute boat ride away, or to other spectacular dive sites not accessible from shore. Guided day and night dives are also arranged to great sites such as the Salt Pier or Town Pier, which have become a mecca for photographers. Even Klein Bonaire is visited at night on a regular boat night dive. Start the day with a delicious breakfast at the Bella Vista Restaurant overlooking the ocean. Choose from a wide variety of fresh local fruits, cereals, breads, cold cuts of meat or cheese, pancakes and syrup, French toast, bacon and a variety of eggs freshly made to order. The breakfast buffet is open from 6:30am – 10:00am. Lunch is served from 11:30am until 6:00pm on the beach, with a selection of salads, sandwiches, burgers and delicious fresh fruit shakes to choose from. At the end of the day, join the Happy Hour every day from 5:30 – 6:30 pm at the Pool Bar and recount the day’s events while enjoying refreshing tropical drinks. If you’re among the lucky, you might even see the famous green flash as you watch a beautiful island sunset. In the evening enjoy the view of the darkening horizon as you peruse the menu at Lions Den. Deciding between the chefs dishes or fresh catch of the day will be a hard choice. Many nights are "theme" nights with special menus and entertainment – such as Saturday Grill Night, Friday’s All-You-Can-Eat BBQ, Monday’s Caribbean Buffet, and Wednesday’s Movie Night.